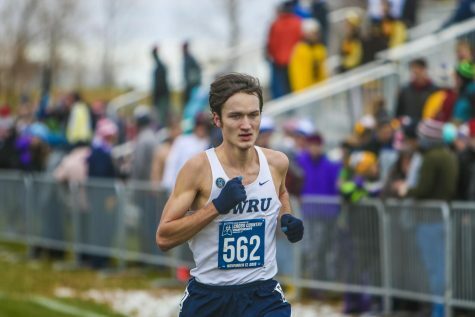 In Meadville, Pennsylvania, the Case Western Reserve University women’s cross country team finished second overall in the Allegheny Classic at the Allegheny College athletic complex, while the men’s team finished fourth overall. The women’s team went neck and neck with eventual winner Carnegie Mellon University, falling just three points short of victory. Three runners finished in the top 10, with fourth-year student Danielle Kulpins leading with a time of 18:19 for fourth place in the three mile run, second-year student Madeline Lindemann finished fifth with a time of 18:24 and third-year student Jennifer Hoffmann finished eighth with 18:39. Lindemann was in the lead for the first mile of the race. 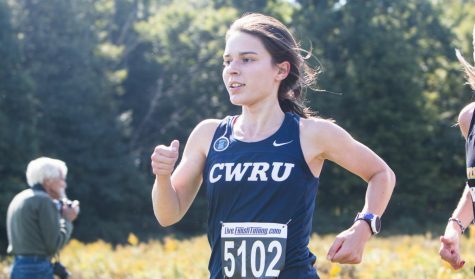 Trailing right behind was fourth-year student Rachel Laveson in 12th and third-year student Isa Torres-Padin in 14th with times of 18:53 and 19:03, respectively. 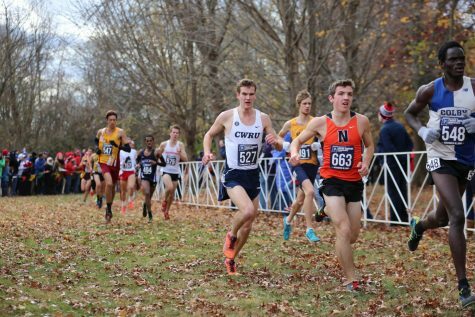 As for the men’s team, fourth-year student Sam Merriman finished eighth with a time of 20:29 in the four mile run, followed by fourth-year student Aidan DeSanto with a time of 20:48, fourth-year student Zach Roshon with a time of 20:58 and first-year student Nathan Mack with a time of 21:12, taking places 17th, 20th and 23rd, respectively. The men’s relatively poor recent performance could be easily explained. “Because we ran four consecutive weekends…we were fatigued,” said Merriman. Furthermore, travelling to another state puts a slightly extra strain on the athletes. Pacing is something that the Spartans have to watch out for in future meets. “We started out too slowly…in the beginning, so we have to mentally change how we pace ourselves,” said Merriman. The Spartans have a week off to rest up before heading to the All-Ohio Championships in Cedarville, Ohio on Sept. 29.